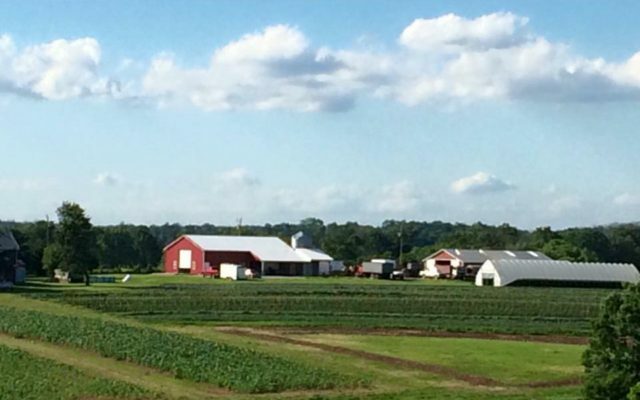 Our mission is to provide our community with fresh, local products that we raise and produce on our family farm. It is important for us to produce quality products for our consumers, in addition to educating and building lasting relationships within our community. Farming is a way of life for our family, one that we wish to pass on to other generations. Get healthy, fresh, and local farm produce weekly, while also knowing the people and the farm you’re supporting. From our farmhouse kitchen to farm markets, you’ll find farm-fresh food your family will love! We also make breads, cinnamon rolls, and other sweets during the season. We will be adding several new items this spring and summer! become known for its great tasting, high quality produce at several markets, especially our heirloom tomatoes! All our beef is free of growth hormones, no steroids, no antibiotics and no additives are used. Our goal is to provide a healthy, great tasting product that comes from a Kentucky Proud farm! Our Family farm is similar to other farms throughout Kentucky, in that, we were originally a tobacco and cattle operation. Triple J Farm is 370 rolling acres located within Scott County. Our family tradition of farming goes back four generations. This farming tradition is valuable to our family and to the way we live our life. Therefore, it is important to us to keep that tradition going. The name of our farm itself speaks to the value we place on family. The Triple J concept came from the names of our three children, now the 4th generation; Jeremy, Jared, and Jessica. Presently our children (whom are now grown) are an indispensable part of our farming operation. It is a hope we have that our farming tradition may continue on through our children and reach out into our surrounding communities. Over the last 15 years, our farm has begun to diversify by raising small fruits and vegetables, farm direct beef, farm fresh eggs, compost; adding value added products through our Farmhouse Kitchen, while still continuing to raise grain crops (corn, wheat, & soybeans) , plus cattle feed such as hay and silage. Now, our farm’s focus is to provide healthy and fresh products to our customers within our community. We continue to raise pasture raised grain finished beef cattle on our farm. There are No hormones, No antibiotics, No steroids and No additives in our beef. We also raise 500 Laying hens, which provide us with farm fresh brown and blue eggs daily. Year after year we have expanded our produce production; we are now averaging between 20-25 acres of seasonal vegetables and fruits. We sell our produce through local farmer’s markets, our CSA program, off the farm and we wholesale to restaurants and restaurant suppliers! You may contact us by phone, email, mail, or here at the farm!